Music therapy is a scientific method of effective cures of disease through the power of music. It restores, maintains and improves emotional, psychological and physiological well being. The articulation, pitch, tone and specific arrangement ofswars (notes) in a particular raga (melody) stimulates, alleviates and cures various ailments. Music therapy has a long history dating back to ancient Greece. King David’s curing an illness by playing the harp would count for the same in the Old Testament. Hippocrates, the father of modern medicine, used it extensively. In ancient Egypt pain of childbirth was reduced thus. In Indian legends Thyagaraja, the famous south Indian musician is believed to have sung back life into the dead. And in 1729 Richard Browne compiled the well-known Medicina Musica. Music can be defined as “…a kind of inarticulate, unfathomable speech which leads us to the edge of the infinite and lets us for a moment gaze into that.” Basically a sound (nada) generating particular vibrations which moves through space and effects the human body. In classical Indian system it usually takes the form of a raga which has four sources – folk songs, poetry, devotional songs of mystics and compositions of classical musicians. Ragas are closely related to time of the day and seasonal changes and emotional status. Symphonies of raga have a definite soothing effect on the mind as well as the body. The muscles, nerves and chakras of affected parts go through alternate contraction and relaxation during impulses and the in-between intervals respectively. This enables energy from a universal energy field to flow into human energy field and affect the central nervous system – roots of auditory nerves being more widely distributed than any other. Also beats in music have a close relation with heart beats with those below the pulse rate calm & relax the system and those above excite & rejuvinate. 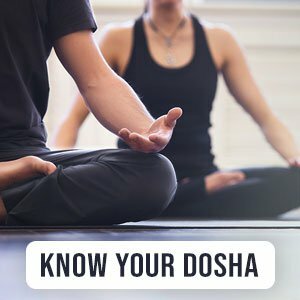 While ragas can cure tension, blood pressure, heart ailments, insomnia and other disorders, it should be kept in mind that such therapy treatment should be conducted either early morning, evening or late night, never long sessions on an empty stomach and ideally with regular short breaks in between.